As Americans, when it comes to meat, we tend to think of a big juicy steak. Especially now during the summer months when we can grill one to perfection. You know what else tastes great from the grill? That’s right, you cheated and looked at the photo. Fish. Fish contains a variety of nutrients beef does not, including omega-3 fatty acids. Those omega-3 found in fish oil are good for our hearts and our eyes. Researchers have found that people who eat a diet rich in omega-3 fatty acids like those found in salmon, tuna, or trout were nearly 40% less likely to develop age-related macular degeneration or AMD. Age-related macular degeneration is the leading cause of irreversible vision loss among people over the age of 65 in the US. 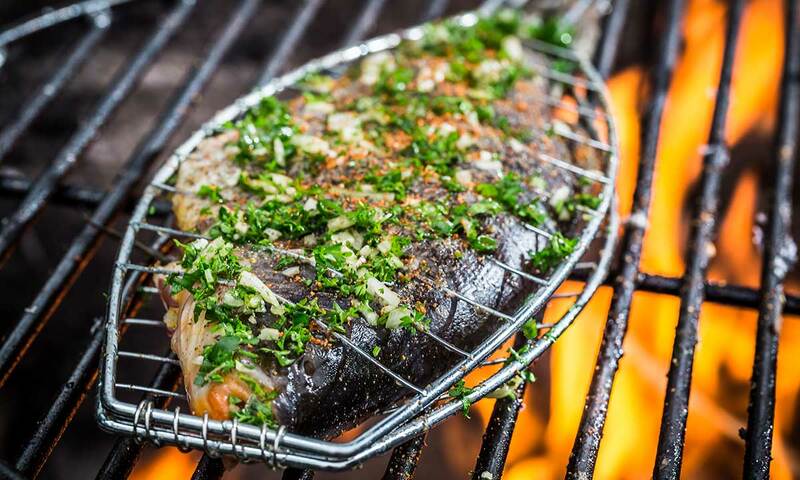 So, this summer when you fire up the grill, put some fish on too for your heart and your eyes. Think you might be at risk for AMD? Let Dr. Kirshner conduct a thorough examination today.